A total of 3.07 lac APY accounts have been sourced under One Nation One Pension. The stellar performance of the banks under the campaign includes some of the largest banks in the country namely, State Bank of India sourcing a stupendous 51,000 APY accounts and other prominent banks like Canara Bank which has sourced 32,306 APY accounts, Andhra Bank at 29,057 APY accounts, in other private banks category, Karnataka Bank at 2641 APY accounts, in RRB's category, Allahabad UP Gramin Bank at 28,609 accounts followed by Madhya Bihar Gramin Bank at 5,056 APY accounts , Baroda Uttar Pradesh Gramin Bank at 3,013 APY accounts, Kashi Gomti Samyut Gramin Bank at 2,847 APY accounts & Punjab Gramin Bank at 2,194 APY accounts. Department of Financial Services in association with Pension Fund Regulatory and Development Authority (PFRDA) has been organizing various APY campaigns to give thrust through which the population not covered by any pension scheme is approached by APY Service Provider banks and Department of Posts to inform about the salient features and benefits of the APY scheme and are encouraged to get enrolled in the scheme. PFRDA organised a National Level Pension Mobilization Campaign '' One Nation One Pension’’ from 2nd August to 19th August 2017 in association with the APY Service Provider Banks all over the country. 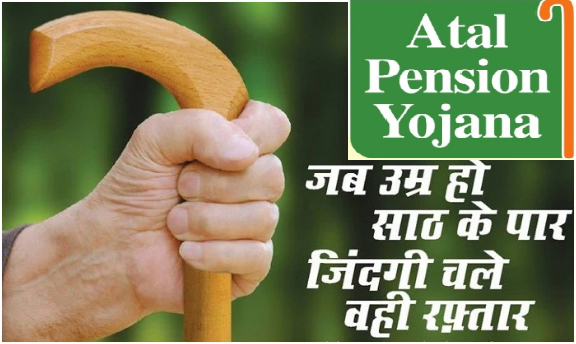 62 lacs subscribers have become members of the Atal Pension Yojana till date in 2 years after launch of the scheme.